Amazon is not a social services agency. It does not run school systems. It does not provide job training. It does not offer solutions to poverty, homelessness, mental illness, or alcohol and drug abuse. Amazon is a tech company. It started out by selling books online. Now Amazon sells everything from shoes to prescriptions to furniture online. It houses 34 percent of cloud servers on this planet; produces and streams all kinds of entertainment, from audio books to films; and sells advertising and groceries. Yet some of our well-paid elected officials — who actually are responsible for social services; running our schools; providing job training; and developing solutions to poverty, homelessness, mental illness, and alcohol and drug abuse — are saying that Amazon should now be responsible for resolving these urban woes in Long Island City. Councilman Jimmy Van Bramer, who initially supported bringing Amazon to LIC, is now asking what the company is going to do for the residents of Queensbridge Houses, the largest public housing project in the nation, which is in his district. That raises the question: What has Councilman Van Bramer done for the residents of Queensbridge Houses during his tenure? As deputy leader, Van Bramer is the third–highest-ranked member of the Council. He had his pick of committees he could chair. Yet he didn’t choose to lead the committee on public housing. Instead, he chose to serve as chairman of the Council’s Committee on Cultural Affairs, Libraries, and International Intergroup Relations. The biography on his Council website touts that Van Bramer “has fought hard to secure over $1 billion for our City’s libraries and the arts.” There is no mention of job training or job placement programs for the residents of the Queensbridge Houses among the 1,300 words of that biography. But now that Amazon got a $1.7 billion deal with the state that bypasses the City Council, Van Bramer and everyone else who wasn’t involved in putting it together have their hands out. Literally, overnight, the concerns of the residents of the Queensbridge Houses and what Amazon is going to do for them have for the first time became a top priority. We’ve all seen this before. But I don’t remember seeing any ballot measures when I was in the voting booth last week that would dissolve local government and contract out services to Amazon. If there had been, I probably would have voted for it. I am confident that if Amazon offered any of the services traditionally provided by our local government, it would do a better job than New York City. For example, if Amazon was running the New York City Housing Authority (NYCHA) and a boiler went out today, I’d feel confident that a new boiler would be delivered and installed by this afternoon if I put in my order before noon, or by tomorrow if I clicked to complete my order within the next two minutes. Imagine if Amazon ran the MTA. As I left the house in the morning, Alexa would tell me when the next train or bus to work would arrive at my local stop. When I arrived at my station or stop, I would simply have to board my train or bus, and it would recognize my mobile phone and deduct the fare from my Amazon Prime account. To continue to grow, invent and deliver new products and services, Amazon needs the smartest and most creative people it can hire — and is willing to pay them a lot of money. 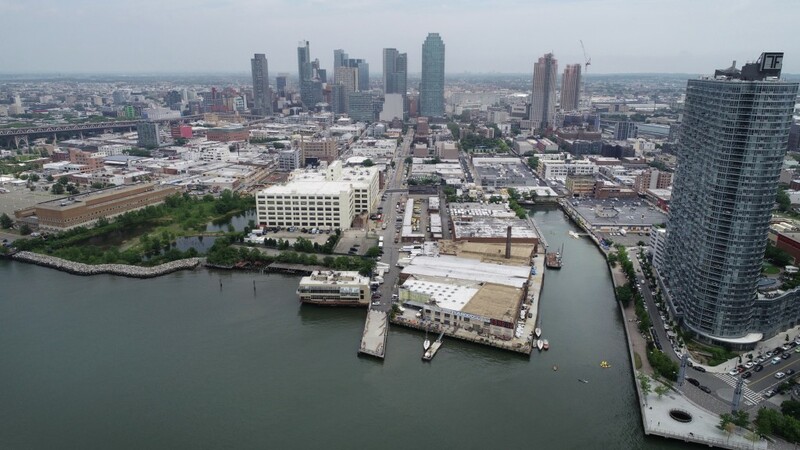 That’s why Amazon is bringing 25,000 of the best and brightest highly educated tech people in the world to work in Long Island City, and paying them on average $150,000 a year, while Google is adding 12,000 new jobs in the West Village. Can you imagine the impact nearly 40,000 highly educated tech people walking the streets of the city, taking the subways and buses, and sending their children to public schools will have on this city — and the Northeast megalopolis that runs from Boston to Washington, D.C.? New York City has the largest concentration of psychotherapists in the nation because between the world wars of the last century, Jewish psychiatrists fleeing Europe were offered teaching positions at the New School. In no time, they were seeing patients. There were a lot fewer than 40,000 of them, yet their long-term influence in the city and this nation’s culture runs deep. I am confident that 100 years from now, historians will point to this critical mass of smart and creative people moving to New York City within a two-year period as the trigger for a 21st-century renaissance. That’s why Amazon is moving here. Most of our nation’s population live in cities. If Amazon is going to produce solutions for everyday living in cities, you’re not going to put the people tasked with developing those solutions out in the middle of a field. I can’t begin to imagine what this renaissance will produce, but look at just one of the unintended consequences this deal has already had: At a press conference announcing the deal, New York Gov. Andrew Cuomo and New York City Mayor Bill de Blasio, who for five years could not stand each other, were like giddy schoolgirls who had won first place in a national cheerleaders’ competition. Unbeknownst to most of us, they had been on the phone one on one over the past year hatching plans on how to woo Jeff Bezos to their table in the high school cafeteria. After each call, the governor and mayor must have practiced the grimaces they would have to put on in public when someone mentioned the other’s name so that no one would figure out that they were actually in cahoots. In the movie, Cuomo and de Blasio will be played by Tina Fey and Amy Poehler. Realizing what they can accomplish by working together instead of against each other, Cuomo and de Blasio will be, potentially, unstoppable at figuring out and piloting solutions to some of the urban woes New York and a lot of other municipalities are facing. And for help, they’re going to have a braintrust in the form of Amazon to turn to that is unmatched in the history of Western civilization. That guy who wrote last summer about the death of a once great city? Fuhgeddaboutit.